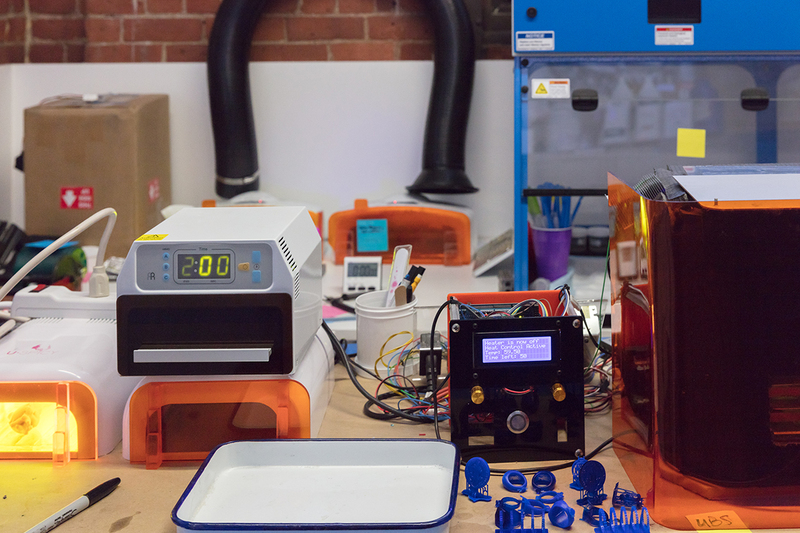 Materials development is central to the success of Formlabs 3D printers. Each new resin we release expands the capabilities of our machines, and, more importantly, what’s possible with desktop 3D printing. With Castable Resin, we invited jewelers to take advantage of our technology to more affordably design and produce beautiful custom jewelry. With Dental SG, we offered the first affordable biocompatible material, allowing dentists to improve patient quality with custom-printed surgical guides. Over the past year, we’ve produced nine resins, including Castable and Dental SG and improved reformulations of our current library. And we’ve just announced a new suite of Engineering Resins, allowing engineers and product designers to closely simulate a range of common thermoplastics, like ABS, polypropylene (PP), and rubber. Learn more about Formlabs Engineering Resins on our materials page. 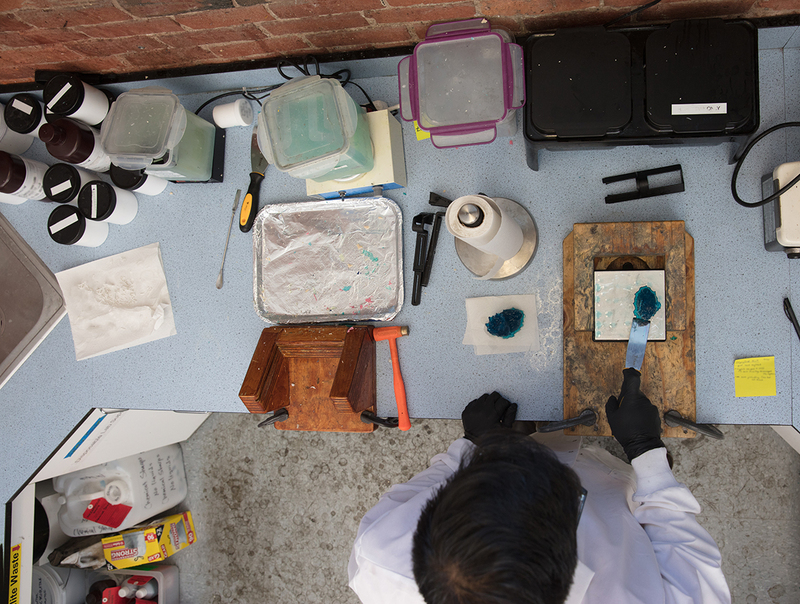 Materials science is special at Formlabs. 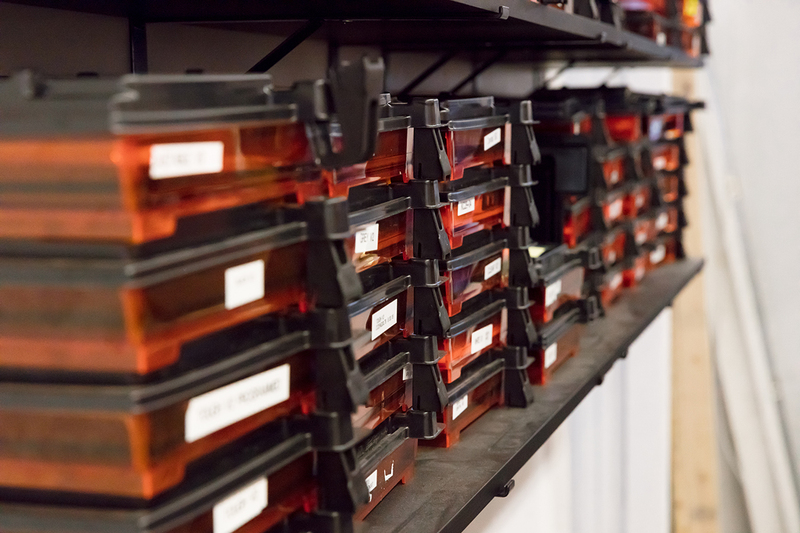 Our in-house department has doubled in size every year for the past few years, and is dedicated to developing resins specific to our printers. Read on to go behind the scenes with our materials team to learn more about their unique development process and dig into the backstory of Formlabs’ new Engineering Resins. Being a materials scientist is being an inventor. It’s turning raw materials into functional new ones. “What does it feel like, how stiff is it, how much can you stretch it? It’s interesting to see how the raw materials you’re starting with can translate to those properties,” said Formlabs Materials Scientist Gayla Lyon. Formlabs uses various commercially-available and custom post-cure chambers to test optimal post-cure settings for our resins. Part of the magic of our process is an environment that supports and encourages exploring new ideas. This dedication to R&D is what leads to the “aha” moments that the Formlabs team is always searching for. 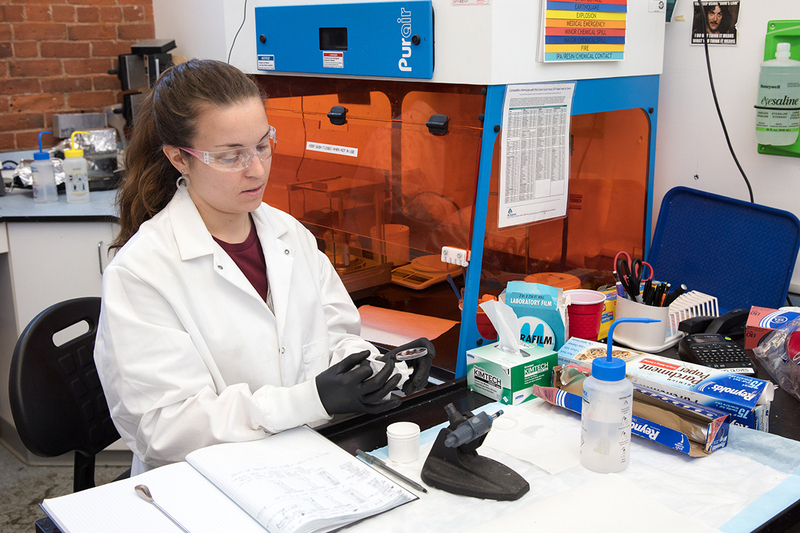 Formlabs Materials Scientist Gayla Lyon measures the critical energy (Ec) of an experimental resin. Because our resins need to work perfectly with the Form 2, having both our materials and engineering teams in house is invaluable. Everyone is working towards the same goal of beautiful, functional, reliable 3D prints, and there are different levers we can pull to make adjustments, whether changing the formulation, changing the print settings, or overhauling the framework of our print settings all together. We’re able to use the Form 2 to discover and explore interesting formulations, and respond to software and hardware requirements more fluidly—sometimes just by walking down the hall. This was especially critical in developing Flexible Resin. Stereolithography 3D printers build parts in layers; as each layer is cured, it’s separated by a peeling mechanism. This process uses a lot of energy and force, which tends to break apart materials that are soft. This was a challenge, as the function of Flexible Resin requires soft-touch and the ability to be bendable over time. Because we were able to adjust and test our 3D printers’ functions, we could tweak how the printer creates each layer to find a solution—in this case, the amount of force and speed of peeling. “A real engineer is somebody who sees a problem or unmet need and has to find a solution,” Alex said. Inspired by what you’re reading? Check out our careers page for openings in all departments. Settings development is an important step towards reliable 3D printing. Here, JJ removes a print which has over-adhered to the platform. Though released all at once, our new Engineering Resins were not purposefully developed in tandem. Each material was created in response to clear needs in the field. Tough was initially released in June 2015 to address thermoplastic engineering applications. Once Tough had been on the market for a while, and we had collected a lot of customer feedback, we determined a number of components that would work well in a reformulation to vastly improve the material. At the same time, Durable started to fall into place. Tough was getting closer to ABS, so we knew we wanted to create a material that addressed the other thermoplastic typically used in volume, polypropylene (PP). ABS and PP are thermoplastic polymers used widely in functional prototyping and manufacturing. ABS is sturdy and shatter-resistant, used for items like enclosures for consumer products, automotive trim elements, and household goods. PP is widely used for its low modulus and high-impact strength, for items such as car bumpers, living hinges, plastic chairs, and food containers. Formlabs’ dedication to R&D is what leads to the “aha” moments that our materials team is always searching for. Pictured here, tanks of resin used for testing. Around the same time, we were also working on addressing the need, primarily in the automotive and aerospace industries, for a material able to withstand very high temperatures. Developing High Temp Resin worked well for launching along with the other two materials. Learn more about how engineers are using Formlabs 3D printers, and explore our engineering materials. We’re thrilled to see how engineers and products designers will use our Engineering Resins in their work, and looking forward to continuing to develop materials that push the limits of what’s possible with the Form 2. “It still feels like we just started and there’s a whole world to discover,” Max said.